Brian J. Sommer’s practice is focused on commercial litigation, particularly securities litigation, Marcellus Shale litigation, intellectual property disputes, and shareholder rights. 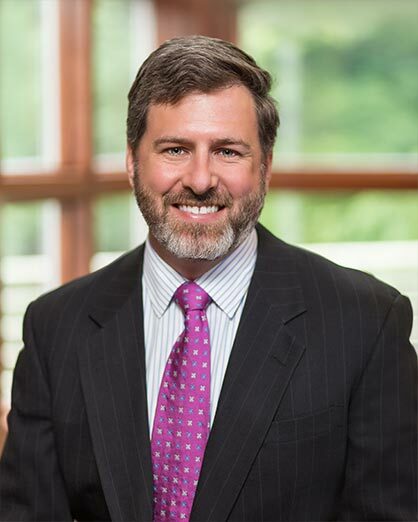 In the area of securities litigation, Brian represents both investors and investment firms in connection with investor disputes, and has successfully represented financial advisors in connection with their departures from investment firms. In particular, Brian has expertise regarding disputes involving signing bonuses and the repayment of promissory notes. He also represents firms in connection with raiding cases and is well-versed on the protocol for Broker Recruiting through his representation of departing financial advisors as well as firms. In the area of Marcellus Shale litigation, Brian has handled claims arising from the environmental impacts of oil and gas development. For example, he successfully petitioned and advocated to the DEP to make a determination regarding the need to abate and remediate ongoing contamination that ultimately led to a seven figure settlement for the land owners. In the areas of Intellectual Property, Brian has handled numerous oppositions to client’s portfolio of trademark applications, including defeating multiple summary judgment arguments, effectively conducting discovery resulting in the withdrawal of opposition to client’s trademark application, successfully arguing for registration of client’s marks after initial denial by the United States Patent and Trademark Office, and successfully arguing on appeal to the United States Circuit Court of Appeals that the decision of the Trademark Trial and Appeal Board to cancel another party’s trademark should be upheld. He has also resolved in client’s favor copyright work for hire dispute and favorably resolved a misappropriation of trade secrets case involving theft of client information by competitor. Brian also has experience in representing clients in shareholder disputes involving closely held businesses, copyright infringement, litigation involving Pennsylvania’s Unfair Trade Practices and Consumer Protection Law, defamation claims, breach of contract actions arising out of construction work, and litigation involving unpaid debts pursuant to promissory notes. Brian has also counseled a solar energy developer on their leasing agreement’s compliance with applicable Pennsylvania law and has also counseled financial advisors in connection with buy-out agreements for business succession purposes.